Erin is a researcher at the University of Auckland with a passion for reducing structural discrimination in the Pacific Islands. With a focus on women’s rights and gender-based violence, she previously worked at the Asian/Pacific Islander Domestic Violence Research Project in Washington, D.C. In July 2017, Erin started as an intern with ICAAD where she assisted with the TrackGBV project and led a report on gender-based violence in Niue. 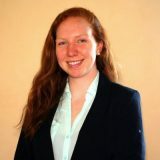 Erin studied International Studies with a focus on the Pacific Islands at American University in Washington, D.C. and is pursuing as master’s degree in Development Studies at the University of Auckland in New Zealand. On the side, she is also a personal trainer with a passion for olympic-style weightlifting.